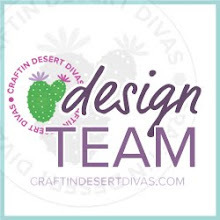 Craftin’ Desert Divas is excited to announce a brand new design team call for our Winter/Spring 2019 term! If you’ve got a great eye for detail, love coloring cute line-art images, and enjoy sharing techniques with others, we’d love to hear from you. This might be a bit biased, but we think our team is one of the best you’ll find. We promote a great team atmosphere and pride ourselves in being fair, flexible and most of all - fun! Please read the following description carefully and submit your applications by December 7th. If you have any questions, please get in touch with us using the email address listed below. 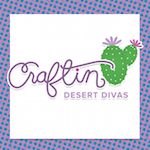 Generous shipments of stamps and complimentary items such as stencils, digital stamps, SVG outlines and sequins. Link back to your blog or website connected to each blog post featuring your work. Extra info #1 - We have a special design team position for video and YouTube experienced designers. Please indicate if you would like to be considered for this spot. Extra info #2 - Please indicate if you are experienced working with digital stamps and would be open to working with them.